Our exclusive and advanced technology produces ozone without any other products besides oxygen. 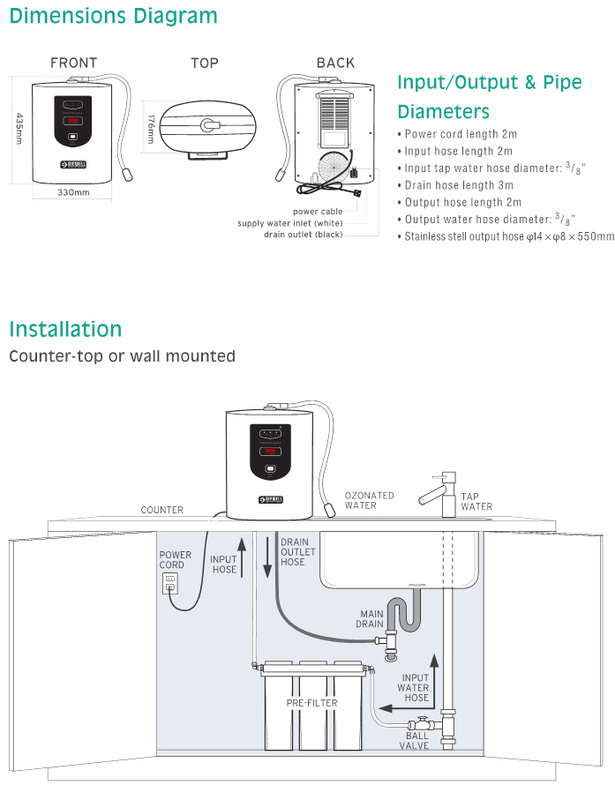 This allows for high dissolution in water, giving high ppm concentrations for effective disinfection. Ozone naturally reverts back to oxygen. Ozonated water can be used to protect patients and staff from bacteria and infections. It is safe to handle and can be used on water contactable surfaces. All Biowell systems use Biotek Electrolytic Ozone Generation (EOG) Technology for safe and efficient ozone generation without any health risks. All systems are designed with a built-in ozone neutralizing unit. Ozonated water leaves no biocidal traces so there is no contamination risk in bonding procedures and does not interfere with dental material bond strengths in endodontic. Ozone acts instantly, oxidizing bacteria and other pathogenic microorganisms by rupturing their cell membranes. Microorganisms cannot build a resistance to ozone. First, wash hands according to existing protocol. Then, rinse hands for 20 seconds under ozonated water. The ozonated water will enhance detergent performance. Activate the system using the motion sensor to prevent cross-contamination. The machine will auto shut-off after 20 seconds. Moisten cloth with ozonated water. Use immediately to wipe surfaces, such as dental office countertops, cabinets, equipment surfaces, water-contactable surfaces, and so on. For better results, use with the ozone-compatible Biowell Spray Bottle. Fill the spray bottle with ozonated water and use immediately for best results; Ozonated water can be stored in the special bottle for up to 20 minutes. Spray surfaces with the bottle and wipe. Pre-wash instruments with ozonated water and perform a visual check before autoclaving as an assurance to an existing sterilization step. Wash skin, mouths, and wounds and for applications requiring clean water for infection control. Soak or wash impressions, prosthesis, dentures, night guards, bleaching trays, temporary crowns and bridges, implants abutments, etc. Fill water supply bottle of the scaler unit with ozonated water. Fill bottles with ozonated water. Fill bottles with ozonated water to prevent biofilm build-up. Fill patient’s cup with ozonated water and use immediately for rinsing. Use as a pre-procedural mouth rinse. Ozonated water has antibacterial properties and is a bacteria-free water source. Fill a syringe with a needle with ozonated water and use it to irrigate the treatment area. Use immediately. *Ensure accessories and equipment that contact ozonated water are of ozone-resistant material. Fill the spray bottle with ozonated water and use immediately. 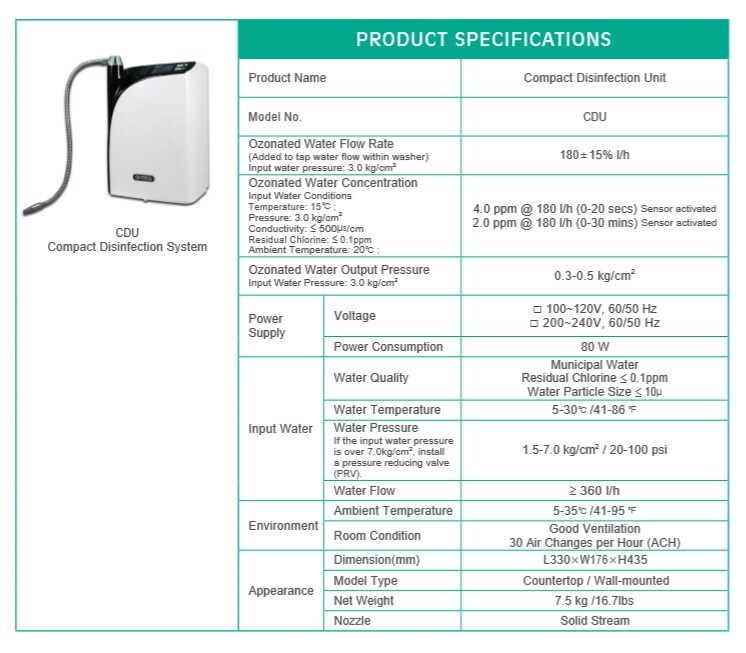 Ozonated water stored in the special ozone-compatible bottle is effective up to 20 minutes. Simply thoroughly spray surfaces and wipe. Ozone is a powerful oxidizer and naturally reverts back to oxygen. It leaves no residual and does not require a final rinse or wipe down. Cleaning is easier and faster. 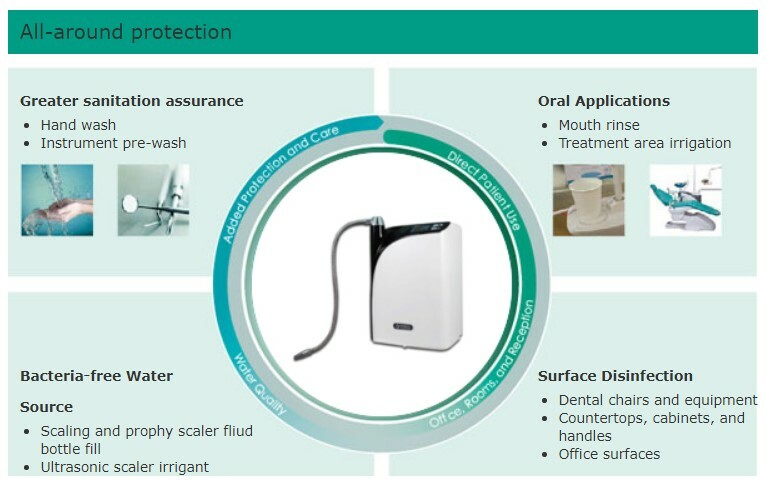 At Biowell we are committed to developing ozonated water disinfection products to improve quality of care and hygiene. We strive for excellence and quality in our products and service, to bring you the benefits of ozone in a safe, easy to use system effective across multiple applications. The sudden flood of ozone (O3) and hydroxyl (OH) dissolved in water (H20) causes cell lysis, and as it bursts, the genetic material and enzymes are released into the ozonated water. In the ozonated water, the ozone attacks the unleashed cell components so that it cannot recover and no resistance is built up. Ozone is the world’s most powerful naturally occurring oxidizing agent. It is a composed of three oxygen atoms and is highly unstable. Ozone’s instability is what makes it such a powerful oxidant, since it seeks to quickly shed its excess oxygen atom and revert to atmospheric oxygen (O2). The excess oxygen atom is typically used to oxidize an organic substance. Ozone also exhibits a short shelf life and quickly reverts back to atmospheric oxygen even when it is isolated and contained within a non-oxidizable tank. It is for this reason that the ozone must be generated on-site a short period before usage. Our patented Indirect Electrolytic Ozone Generation (EOG) uses water to generate ozone. 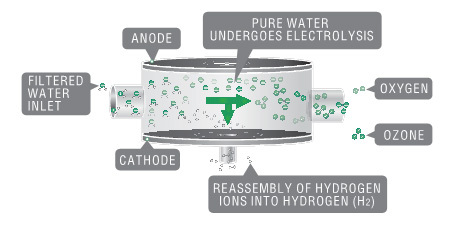 With a sophisticated power control, water is electrolyzed, forming H2, O2 and O3. H2 passes the cathode on the generator and is directed to the drain. Hence the gases collected through the electrolysis reaction include only O and O (O = 28 wt%), without any associated hazardous substance. This technology produces the highest purity and concentration of ozone on demand. 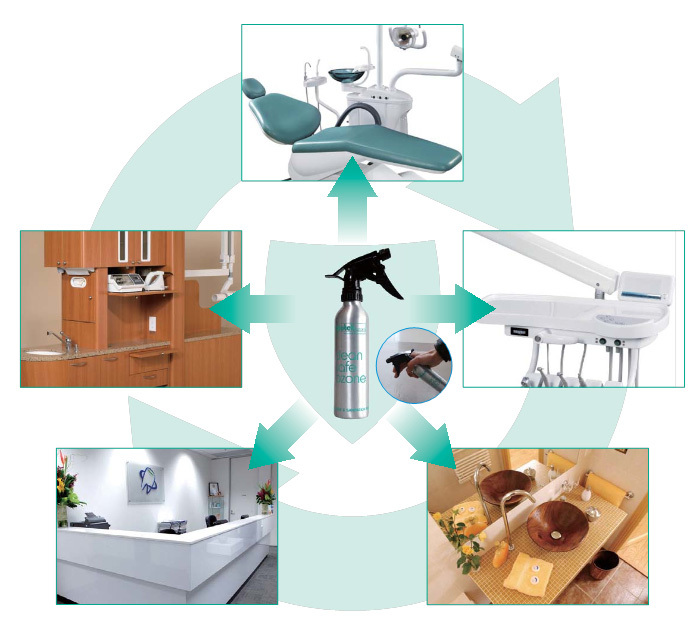 *1Nitrous Oxide (NOx) is a known carcinogen that reacts with moisture and other compounds to produce nitric acid and other toxic by-products.